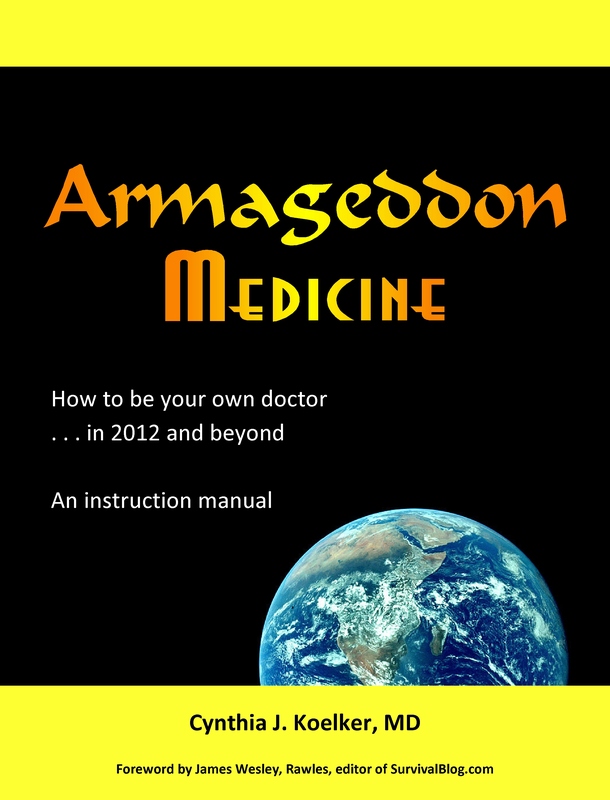 The following is excerpted from my upcoming book, Armageddon Medicine. What will diabetics do if medication becomes unavailable? In the first in a series, Dr. Koelker discusses herbal therapy for diabetes. The American medical establishment is beginning to examine the role of herbal therapies in the treatment of diabetes mellitus, primarily Type 2 (adult onset, non-insulin dependent). Unfortunately, without pharmaceutical companies to fund the research, comprehensive studies are not likely to be performed. To date, there are no official recommendations for using herbal preparations in the treatment of diabetes mellitus. However, in the event no medication is available, what treatments might diabetics consider for themselves? Is there any scientific evidence for effectiveness of herbal therapy? Chromium picolinate is known to lower blood glucose levels in both humans and animals, probably by lowering insulin resistance. Limited medical literature reports improvements in long-term blood sugar control in patients taking 100 to 500 micrograms twice daily. There have been a few reports of renal (kidney) failure with high dosages. It has been proposed that garlic may lower blood sugar levels in humans, since it is effective in alloxan-diabetic rats. How garlic may do so remains under study, and it is not recommended for treatment of diabetes in humans at this time. Alpha lipoic acid (found in meat, broccoli, and potatoes) may help treat nerve damage due to diabetes, but does not lower blood sugar levels. The dosage noted to be effective for diabetic neuropathy is 600 to 1200 mg per day. Ginseng and psyllium may also lower blood sugar a little, but again, this effect cannot be guaranteed. However if no medication is available, Panax ginseng (100-200 mg per day) may be somewhat effective. I have had patients who have tried these herbal preparations for their diabetes, but none who experienced a reversal of the disease. Some of the evidence for lowering of blood glucose levels using herbal preparations comes from anecdotal stories of patients who have experienced hypoglycemia (low blood sugar) when chromium picolinate or ginseng was added to their medication regimen. If an herb can lower your blood sugar 50 points (which I’m estimating), that’s great, but also much less effective than medication. Still, it’s better than nothing, and when combined with calorie restriction and weight loss, herbal preparations are certainly a consideration when or if medication is unavailable. Of course, most of us are not growing ginseng in our backyards, and long-term supplies would be a challenge for herbs and vitamins as well as medications. However, since these products are available over the counter, stockpiling enough for several years of therapy is a consideration. For a good review of the literature regarding herbal treatment of diabetes, see The American Family Physician, September 2000, available online at http://www.aafp.org/afp/20000901/1051.html . For information regarding use of ginseng see The American Family Physician, October 2003, also available online at http://www.aafp.org/afp/2003/1015/p1539.html. CYNTHIA J KOELKER , MD is a board-certified family physician with over twenty years of clinical experience. A member of American Mensa, Dr. Koelker holds degrees in biology, humanities, medicine, and music from M.I.T., Case Western Reserve University School of Medicine, and the University of Akron. She served in the National Health Service Corps to finance her medical education. This entry was posted in alpha lipoic acid, Chromium picolinate, Chronic diseases, Diabetes Mellitus Type II, Ginseng, Herbal and complementary, Herbal medicine, Medical archives, Medications, Over-the-counter meds, Psyllium, See medications - herbal and tagged Blood sugar, Conditions and Diseases, Diabetes mellitus, Endocrine Disorders, Ginseng, Health, Herbal medicine, Herbalism, Insulin resistance. Bookmark the permalink. I use Gymnema for my type 2 diabetes. I stopped using Metformin years ago because of the nasty side effects of prolonged use. This herb has helped me regain my normal eating patterns and I am actually burning fat and not just losing water. I also take a raw vitamin. I won’t spend much time going through the list of herbs I take but this is the main one for my type two diabetic issue. We might take a look at increased activity for lowering blood sugar. After TEOTWAWKI, anyone who is able will certainly be increasing their physical activity. I do not believe it would be legal for you to advise a diabetic patient to take cinnamon, chromium picolinate, or ginseng in place of insulin. I think you would not only be breaking federal law but you would leave yourself open to a lawsuit. Why not tiger penus or bear gall bladder? Why limit yourself to herbs when there are other superstition based “cures”. How about acupuncture? What about voodoo? I know, lets send them to a chiropractor!! GoneWithTheWind raises the highly relevant point of the effectiveness of herbal medications, especially in light of a 30% placebo response rate for most medications. In this blog I am attempting to stick with information backed by true scientific research. For diseases like insulin-dependent diabetes, the placebo effect is not likely to yield a therapeutic response (unlike, say, medications or herbs for depression). Doctors are “permitted” to prescribe herbal medications, but must be responsible for their actions (including poor results and poor judgment). Although prescribing cinnamon and chromium picolinate in place of insulin is extremely unlikely to be effective (and would be unwise and risky), these herbal options may be suitable for the patient with mild, non-insulin dependent, Type II diabetes. Many medications are based on pharmacologic activity of plant chemicals. Western medicine focuses on isolating a single active ingredient and optimizing the dose. Eastern medicine tends to prescribe combinations of different plants/herbs, which makes it very difficult to identify what chemical(s) are actually helpful. Perhaps in the future a blend of the two approaches could be realized. What a dumb ***. They said that the info was only for use in a situation were you had no other medical choices. Read the whole article – your life may depend on it someday soon. I for one knows the cinnamon works for me. I use it in my coffee 1/8 tsp, oatmeal 1 tsp. Everyone is different. Traditional Chinese herbal medicine routinely treats diabetes with a high degree of effectiveness, depending on lifestyle and how advanced to disease is. I would urge you to investigate this untapped (in America) area of medicine. Thanks for the tip, Lloyd. Western (American) medicine certainly doesn’t have all the answers, though we like to think we do. The more I’ve thought about this, the more likely I believe it is that herbal therapy holds more promise than allopathic doctors (MDs and most DOs) have been taught or are likely to consider. After all, digoxin, saw palmetto, aspirin, narcotics, curare, botox, even penicillin have their basis in natural therapies. But the western tradition of medicine believes in isolating the single active ingredient, then quantitatiing and maximizing the therapy. Few studies are done due to cost concerns and probably general disinterest among physicians. It would take a long time to reverse this trend. A year ago I was diagnosed as “Pre-Diabetic”. My reaction to that news was “no way . . . am I not going to fight this”. Included with at total lifestyle change of diet and exercise was to incorporate a lot of what is discussed in the book “Stop Pre-Diabetes Now” by Jack Challem. In the book the author discusses numerous supplement and herb regimens that make a good deal of sense. While I don’t attribute the total reversal in my glucose and A1C tests to these regimens I do believe they contributed to my successes. Perhaps this book can offer others additional information on alternative methods of managing blood sugar levels. Congratulations on taking control of the situation. Lifestyle changes can certainly help blood glucose levels revert to normal or near-normal in many patients. I have seen weight loss, in combination with dietary changes and exercise, result in a 100 point decrease in blood glucose levels. Although herbal preparations don’t seem to make an enormous impact on blood sugar, for some patients a decrease of even 10 mg/dL in serum glucose will drop them out of the diabetic category. Doc: Regarding Chromium Picolinate, ask a vet what he uses to treat diabetes in pigs and sheep. If you really know him/her, ask if they will ever get diabetes. 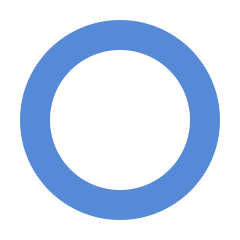 When Chromium Pic was available legally, before the FDA decided it was a dangerous drug, 2 friends of mine used it for diabetes control. I don’t know which type of diabetes. One had a disease reversal, the other was able to reduce his insulin intake to almost negligible levels, at the advice of his doctor. He had had a change in his body chemistry. Right, he did not mention the Chromium Pic. When he returned to Wales, where he hailed from, and ran out of Chromium Pic, he went to his doc to get more (Chromium Pic was regulated in Wales before the US). He was told that prescriptions for Chromium Pic were not issued in Wales for diabetes, insulin was, back on it. This was a few years back, don’t know the status of either person at this time. Chromium picolinate is available OTC at this time in the U.S. I don’t know about Wales. Dr. Koelker, what have you heard concerning the benefits of cinnamon, upon management of blood sugar levels? a second question: I don’t have a name or reference, but a physician in Kansas has reportedly achieved very good results managing diabetic and pre-diabetic clients using a strict, carbohydrate-limited diet. Any comments? To answer the second question first, a strict carb-limited diet would work wonderfully in the majority of patients. In my experience, the most important thing is to reduce total caloric intake, sufficient to result in weight loss of at least 5-10% of total body weight. For obese patients, this amount of weight loss will lower blood sugar levels, but more weight loss may be required to normalize them. A carb-limited diet would also emphasize foods with a low glycemic index, that is, foods which elevate blood glucose less rapidly – also good. I have seen patients who lose weight using any type of diet improve their blood sugar levels, unless the weight loss is due to glucosuria (loss of glucose through the urine due to high blood glucose). Unless the pancreas is nearly exhausted, lifestyle measures are the best long-term answer to diabetes control. Regarding cinnamon, a 3-month 2009 study suggested that 1 gm of cinnamon a day may lower HgA1C levels by about half a point, or the equivalent of 10-15 mg/dL. However, a review of available studies concluded no consistent effect is seen. As I tell some of my patients, lowering one’s blood sugar by 10-20 points using herbs is good – but if you start at a blood glucose of 300, it’s nowhere near enough. Still, if medication becomes unavailable, cinnamon may be worth a try. It does seem to be safe. One last thought, although medical research is usually done on large numbers of subjects, a diabetic patient curious to see whether cinnamon would be effective in lowering one’s own blood sugar could certainly arrange an individual therapeutic trial, in collaboration with his or her personal physician.